In the times in which, more and more people have access to the Internet and the Internet has became an exchange platform of information, is playing an increasingly greater role in the everyday life and the importance of Privacy and Security of Social Networks on these platforms to maintain social connections such as Facebook, XING, Google+ and many more is growing. These social networks are enjoying a growing number of members everyday and are often used to remain always and everywhere connected with friends and acquaintances to exchange views on a variety of things. For example, Facebook Sign in is approximately fifty percent of all the users every day at least once on average and it calls more than 350 million users. These platforms are designed for the end user for free, but the providers must cover their costs somehow and make their money in their part by selling data or the display of personalized and targeted advertising. The amount of data that each day in each user inserts in to the network, of course, should also be protected. Too careless handling of personal information, even after a long time if you might lead to unpleasant surprises. This article, Privacy and Security of Social Networks for Home Users deals with the data protection and data security for private users and considers this in more detail. For this purpose, initially, the term “social network” is explained and is distinguished from the classical social science. Subsequently, the terms privacy and data security are defined. In the main part, the spread of social networks will be considered first by the impact and threat of improper use of the data to better classify them. The type of data storage is then considered into use in the way the home users uses on social networks. 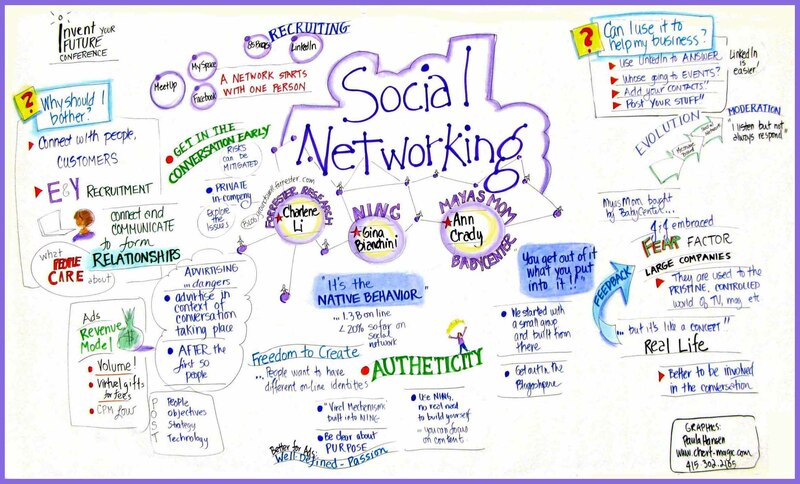 In the following section, the business model of social networks is considered in more detail. Subsequently, the two key issues of data protection and data security in two separate sections are discussed in more detail. Finally, the collected points are briefly summarized again and the actual danger posed by the social networks in terms of privacy and data security is presented as a summary. In classical social science, the term social network refers to all the connections of a person to other peoples. This include friends, acquaintances and family. With the advent of Web 2.0 in our everyday live, that connect people are mostly platforms like Facebook and Co with the term social network. The parallels between the two definitions are easy to recognize because on the internet networking with friends and to socialize is done over these websites. With the appearance of the Internet in households and increase in mobile access options on the internet, makes people to develop a sense of necessity to be online to others at any time. Exactly on this necessity, the social networks have a remarkable spread on the internet. Social Networks are used to exchange information anytime, anywhere with friends and acquaintances. Due to the enormous amount of information are there to spread appropriate security measures are needed. Privacy is a need and right, which is itself dominated by the collection of automated data processing in everyday life. Although there were previously guidelines and laws designed to protect data from individuals, such as the secrecy of correspondence, statistical secrecy or other special privacy laws, now they were adopted with the advancement of information technology. Since personalized data is of tremendous value, there are of course the criminal element who try to come into possession of this data. Large data thefts are also known from recent past. In April 2011, several million customer data have been partially or fully stolen from Sony including credit card information. Large banks have problems to protect themselves from data theft. To avoid such mishaps, taking precautionary measures is adopted by many companies. However, each individual user is also responsible for the security of their data part themselves. This includes which one can control like about oneself or what data to share with the others. It is important to keep the passwords secret and not make it easy. One can assume that the amount of data collected in social network, as these data are very valuable are quite nice for the criminal elements. Meanwhile, the social network providers, however, are well aware of the issues and will do everything so that this information will not go through the illegal paths in the hands of wrong third parties. Since the public at this time are very much attentive to the handling of data in social networks, a brand involved in data theft can lead to a massive exodus or can flare up widespread public criticism. Due to the lower numbers of users, networks like Facebook and Co. lose but their sources of income, as the number of users is directly related to the marketing possibilities. A major problem in the area of ? ?data security is our opinion, is that the social network providers sell or transfer the data to the third parties. Current examples illustrates a problem which concerns only social networks. Data theft can relate to any accessible Internet platform. Even online stores like Amazon have an extremely large amount of customer data, most of which are still enriched with bank details. This information is also quite interesting. The problem of data security is that – the user should be always aware while giving the data somewhere on the Internet. In addition, the data transfer the between users and operators can be intercepted at an insecure point. This is especially a problem on Facebook, because by default, they do not use the secure https protocol, this is what only one can set manually. On XING and Google+, this is now the default settings. But for all platforms, there is an equal risk from Source: the user. Because if someone has too simple password or shares with others, even the best protection on the part of the operator can do nothing more. Each user contributes a large part to the security of the whole data. Terms, unfortunately are not the same of all the social networks, most dangerous is definitely of Facebook as they use their special Ad Platform separately as a way of making money. Whereas, Google plus, at the time of publication of this article on Privacy and Security of Social Networks, uses no direct Adverts as their Business model is different. Another problem is the different privacy laws in different countries. So during the creation of an account on Facebook the consent to the data rules related to the United States has to be accepted. The provisions in the U.S. are generally considered looser than for example, for Germany. The increased public attention to the handling of data and collection from the social networks, have reworked variety of configuration options for privacy. However, this affects only the other users – whether they can see the information or not. The providers of social networks have complete access to the complete data released about an user. This Article Has Been Shared 9471 Times! Network Topology in a computer network is the structure of the complex multiple devices connected with each other in order to ensure a common data exchange. Cite this article as: Abhishek Ghosh, "Privacy and Security of Social Networks for Home Users," in The Customize Windows, November 23, 2013, April 23, 2019, https://thecustomizewindows.com/2013/11/privacy-and-security-of-social-networks/.